Click photo to download. 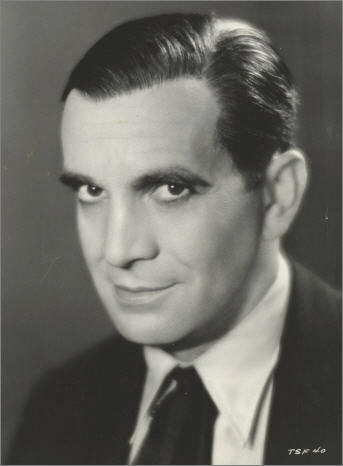 Caption: Al Jolson, star of "The Jazz Singer." Credit: “Al Jolson – a Biography,” 1916. When cinema was still in its youth, Hollywood built a story around the High Holidays. Its tale was a measure of Jewry’s ties to tradition, but also a gentle sign of its loss. In The Jazz Singer (1927), America’s first feature-length sound film, Jakie Rabinowitz is a cantor’s son whose father expects him to follow tradition and stand by his side in the synagogue to chant Kol Nidre, the prayer that opens the Yom Kippur service. But as the eve of the holiday approaches, the father is told that 12-year-old Jakie is singing in a saloon. The cantor angrily fetches him home and gives him a thrashing. Jakie vows to leave home for good. As the father chants Kol Nidre at shul, the son takes to the streets and embarks on a life singing jazz. Years later, his career on the rise, his name now changed to Jack Robin (played here by the great Al Jolson, whose life had inspired the story), he visits his parents on his papa’s 60th birthday, announces he’ll soon be starring on Broadway, and hopes to make peace with his folks. Jack’s mama welcomes him back eagerly, but the father orders him to leave. Soon after, the cantor grows ill and hovers between life and death. Jack’s mother appears at the Broadway rehearsals and begs him to sing Kol Nidre in place of his father. But Yom Kippur is also the show’s opening night. The film constructs a virtual morality play around this dilemma. I won’t tell you the outcome, except to say that the film would be incomplete without a Jolson version of Kol Nidre. Or at least it sounds like Kol Nidre—but in Jolson’s handling, the Aramaic-language lines are radically abridged and repeated, over and over, in a reverie of improvisation. In effect, Kol Nidre as jazz. The film here subtly portrays the passing of tradition into a creatively eroded form—symbolic of what New World Jews have done with the old. Click photo to download. Caption: A scene from "The Dybbuk." Credit: Courtesy of The National Center for Jewish Film, www.jewishfilm.org. In 1937, Jews in Poland did a film version of S. An-sky’s acclaimed Yiddish play, The Dybbuk. In the film, two Hasidic Jews, Sender and Nisn, are longtime friends who meet up only infrequently during holiday pilgrimages to the Rebbe of Miropolye. One such time, they pledge their yet-unborn children in marriage. Soon after, Nisn is drowned and Sender, preoccupied with money, forgets his promise to his friend. Years later, an impoverished scholar named named Khonen makes his way to Brinitz, Sender’s town, where, as a Sabbath guest at Sender’s, he instantly falls in love with Sender’s daughter Leah, who loves him in return. The father, unaware that Khonon is the son of his long-departed friend, is determined to betroth Leah to the richest suitor he can find. Desperate to win Leah’s hand, Khonen immerses himself in kabbalistic magic so he can conjure up barrels of gold. Intensely ascetic, Khonen grows ever more unbalanced, and when Leah’s engagement to a rich man’s son is announced, he calls on Satan for help, then keels over and dies. When Leah is later about to be married, she becomes possessed by her dead lover’s spirit. Her father then takes her to Miropolye, where he petitions the Rebbe to exorcise the wayward soul. The film, one of the last great cultural products of Polish Jewry, is a rich portrait of pre-modern Jewish life and custom. Unlike the play, it opens with an impassioned table sermon by the Rebbe on the youthful days of the fathers-to-be. The sermon deals with the Yom Kippur ministrations of the High Priest in ancient times—if an impure thought were to enter his mind in the Holy of Holies, “the entire world would be destroyed.” The Rebbe compares this to the precarious journey of some unfortunate souls, who pass through several lifetimes (these Jews believed in reincarnation) in striving toward their source, the Throne of Glory—only to be cast down, just as they reach celestial heights. As this point in the Rebbe’s sermon, Sender and Nisn inopportunely try to inform him of their pact. When, a generation later, Khonon fantasizes union with his beloved Leah, he refers to it as “the Holy of Holies.” In retrospect, the Rebbe’s sermon becomes a prophecy of Khonon’s disastrous fall. But The Dybbuk never ceases to exalt the lovers’ bond, though the Rebbe and his court try their best to undo it. The holiest moment of Yom Kippur, though fraught with catastrophe, remains a symbol for the resistance of these lovers to a world enslaved by money and class. A third film, Barry Levinson’s Liberty Heights (1999), isa nostalgic comedy about growing up Jewish in 1950s Baltimore. It both opens and closes on Rosh Hashanah, when the Kurtzman family customarily attend synagogue. Nate Kurtzman (Joe Mantegna) has his own New Year custom of exiting early from shul to stroll to the nearby Cadillac showroom, where the coming year’s models are on display. Each year, Nate trades in his Caddy for a spiffy new one, which he can afford—not from fading profits of the burlesque house he owns but because of his thriving illegal numbers racket. Nate is otherwise a solid citizen, a devoted husband and father, who has raised himself up from humble origins, and had often, in his youth, proven himself a scrappy street fighter against neighborhood anti-Semites. Most of the film deals with the adventures of Nate’s sons, Van and Ben (Adrien Brody and Ben Foster) and and their relations with gentile girls—Van’s pursuit of a beautiful, Old-Money debutante named Dubbie, whom he met at a party; and Ben’s friendship with Sylvia, a black classmate. Levinson’s framing the story inside the Jewish New Year and Nate’s Cadillac ritual is important. The Kurtzmans are nominally observant Jews—perhaps even Orthodox, but in a laid-back, assimilated way. Though Nate’s wife shows remnants of clannishness, the Kurtzmans are open to the winds of change. While both the New Year and the “new car year” are equally important to Nate, their overlap seems a portrait of the tradition’s loosening grip since the days of The Jazz Singer. Even The Dybbuk, flawless as its command of pre-modern tradition had been, was the creation of Jewish moderns: playwright An-sky had been a secularist and socialist revolutionary, folklorist, and humanitarian activist. The film’s creators were immersed in avant-garde theater and Expressionist idioms, and director Mihał Waszyński was a gay man who had left behind his orthodox background and pretended he knew no Yiddish. But what unites these three films is not just their deep awareness (hidden in The Dybbuk) of the secular world, but also their willingness to invoke tradition as a yardstick. The High Holidays might be a site of fading cultural memory, but the theme still strikes a responsive chord among filmgoers, Jewish and gentile alike. Joel Rosenberg teaches film and Judaic studies at Tufts University. His articles on the cinema of Jewish experience have appeared in various journals and collections, and he has recently completed a book, Crisis in Disguise: Some Cinema of Jewish Experience from the Era of Catastrophe (1914-47). Posted on September 16, 2012 by JNS.org and filed under Features, High Holidays, Jewish Life, Special Sections and tagged News & Features.